How to sew a Gathered Skirt. 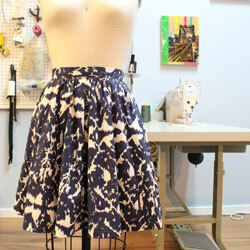 Learn from scratch how to create a gathered skirt in your size. Students will get an intro into pattern drafting as they draft a waistband and skirt pattern based on their measurements. Pattern drafting paper and drafting notes are provided by studio. Student material list will be available at time of registration. Body measurements and figure analysis. Gain an understanding for calculating volume through gathers. Introduction to pattern drafting. 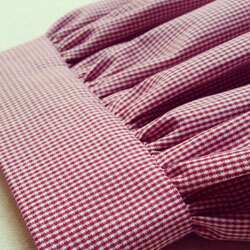 How to draft a waistband with extension and a gathered skirt pattern. How to label patterns with appropriate markings and titles. Sewing techniques. Invisible zipper installation, hand sewn snaps, seam finishes, and hems. Sequence of steps in the construction of a skirt with a waistband. How to use an over-lock sewing machine. There are no set dates and times for this course. Students need to book above required hours in the studio. A great way to book this course is two hour long lessons, once per week for five weeks. Hourly instructional rates found HERE.